Drawing from my week spent here on the beautiful North Carolina coast (Duck, NC to be exact- on the Outer Banks) I have been inspired by the sights, sounds, and textures of the beach. These are some of my favorite beach-inspired finds, all from everyone’s favorite handmade market place, Etsy. First imagine yourself down on the coast- and the south has plenty of them from North Carolina’s Outer Banks stretching around Florida’s crystal coast, all the way into the Gulf of Mexico. Take in the sounds of waves crashing, breathe in the salty air, and feel the warm sun and wind on your skin. Now you’re ready to bring that beach inspiration into your home and wardrobe with these lovely handmade goods. 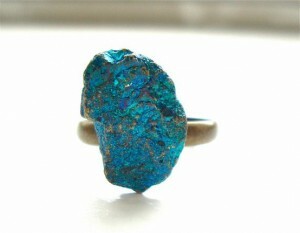 First, slip on this gorgeous peacock ore ring from A Lovely Little Shop. It is one of a kind and it’s swirls of blue, teals, and gold will remind you of the ocean and all of its various hues. 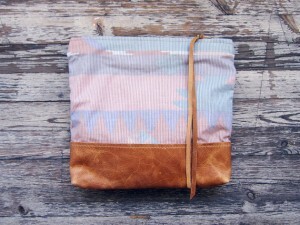 Next throw your essentials into this adorable pastel makeup bag by Scout and Catalogue. The fabrics for these come from thrift store finds that are then upcycled into these gorgeous pieces that will remind you of sun-kissed beach days. Hang the quirky beach umbrella print by Alice B. Gardens photography seen above for a instant summery face lift in any room of your home. 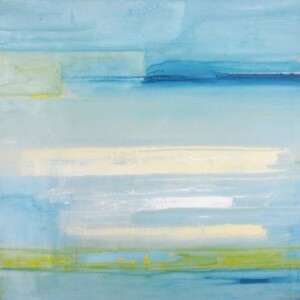 Or if you lean more towards the abstract, display this beautiful beach-hued original abstract painting by Tracy Kafka. 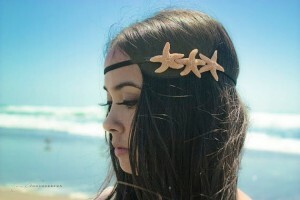 Lastly, before running out the door, throw on this truly unique triple starfish headband by Dreams By the Sea for a summer look that screams beach babe. Pair it with a simple sundress or distressed denim shirt for a look that is laid-back cool, just like your last coastal getaway. Check out etsy for more unique handmade and vintage finds that will surely make your summer home and wardrobe the most original around.